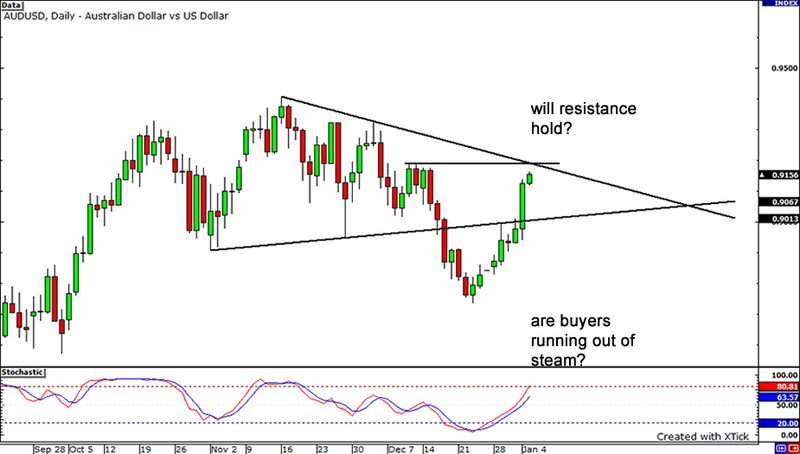 Let’s begin with the USDCAD. On the daily chart, we can see that the pair has been consistently making lower highs as indicated by the falling trendline resistance. Is this a sign that the pair could head lower in the days to come? Given the downward bias of the pair, the important level to watch here is 1.0400. 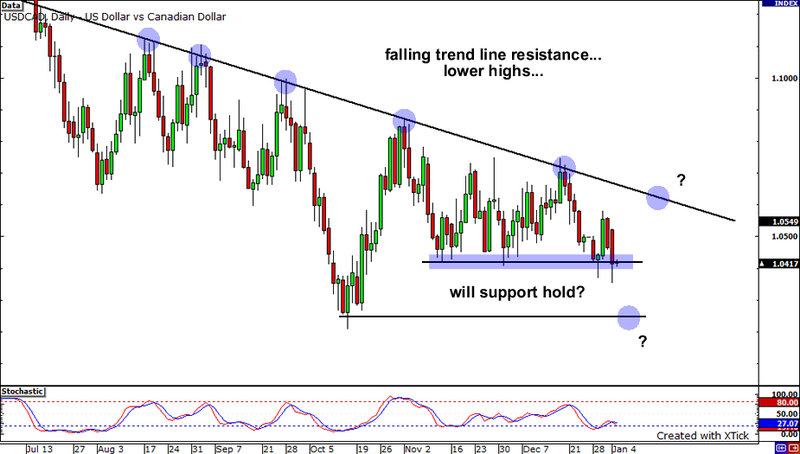 If the USDCAD bears manage to push the pair lower and cause a candle to close below this support line, look for price to head towards the previous swing low at 1.0200. On the other hand, if support remains intact, the next likely move is a retest of the falling trend line. It seems that the EURUSD hasn’t been making big moves as of late. The pair has been bouncing between a range, as buyers keeps finding significant resistance when trying to break past the 1.4450 price level. 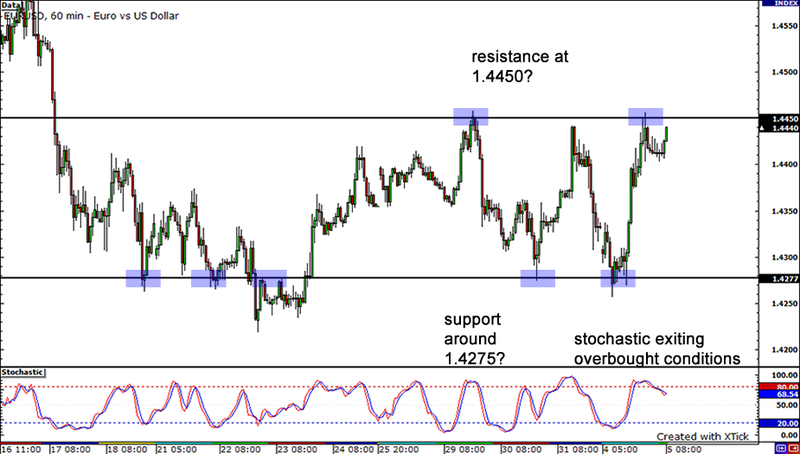 At the same time, there appears to be support at 1.4275 whenever sellers tried to make their move. Right now, price is hovering just below the 1.4450 resistance point. With stochastics exiting overbought conditions, could we see sellers try to impose their will on the markets again? If so, we could see price dip once again to the support level at 1.4275. On the other hand, if buying pressure is too strong, we could see the pair rip through resistance and test for new highs near 1.4500.